Please email me at heatonup@verizon.net so I can forward your info to our sponsors. Hello everyone and welcome to the Midnight Madness Sketch Challenge for week #26. If you were here earlier, you know that your host Priscilla is ill and under the weather for the last couple of days. So if the post today looks a little different, it is because we are filling in for her to give her a break to rest and recover from being sick. We don't know if she has the bug or is entertaining that Oinker Mr. Swine, but we all wish her a speedy recovery. I appreciate everyone's patience while we get this up and running. Rest assured that as soon as we get the information for our winners of the prizes we will post them. We ask for your understanding in this matter and just want to make you aware that we might be a little late this week. We will certainly keep you updated! 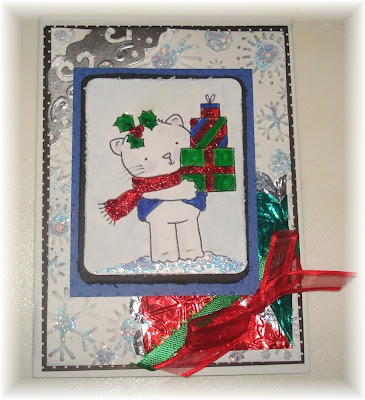 Our DT has already scheduled our next Blog Hop which will be coming to you all on Dec 8th. 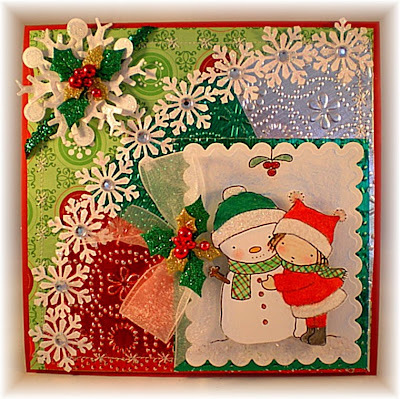 Our Holiday Blog Hop will be a week long Hop filled with surprises and of course prizes. 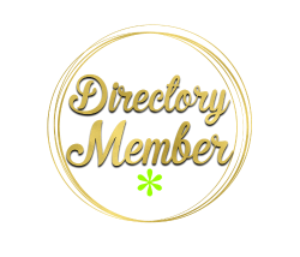 If you would like to help spread the word about our next hop by posting this logo on your side bar we would appreciate it. 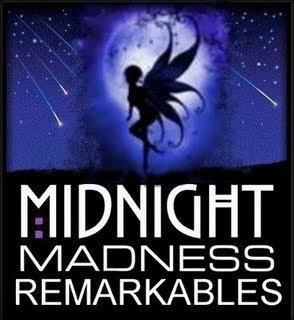 As you know, here at the Midnight Madness Blog, anything can happen. We have a “Midnight Madness Prize Patrol” that will be on the look out for our “Special Midnight Madness Holiday Blog Hop Logo” If one of our team members spots this special logo, your name will go into a special drawing. (playing our challenges is NOT required for these prizes) We will be looking for our MM Holiday Logo from NOW until the Holiday Blog Hop starts. Month end drawings will happen sometime this week sometime (See above note regarding prizes). Today is the last day to enter MMSC25 for a chance at last weeks bonus prize. 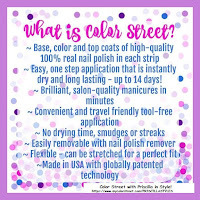 You have till Midnight EST 11-03-09 to get your MMSC 25 in to qualify. One winner will be drawn for our Bonus giveaway on Wednesday, so be sure to check back for that. If you miss the deadline, you are still welcome to link up to Mr Linky, but any entries after the "LAST CALL" will not be in the drawing. 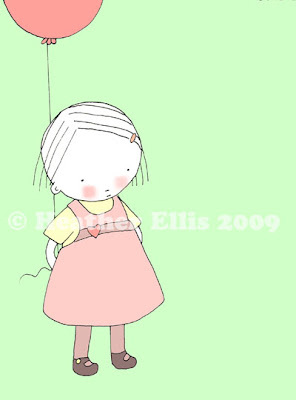 Heather Ellis is a writer and illustrator of children’s books and lives in the UK. 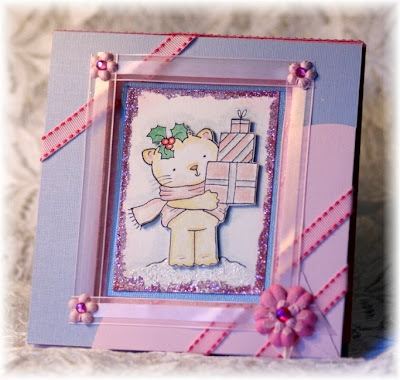 Heather is also the creator of Digistampcharacters where you will find many cute digi stamp images in her Etsy shop, ideal for all your entire handmade card needs. 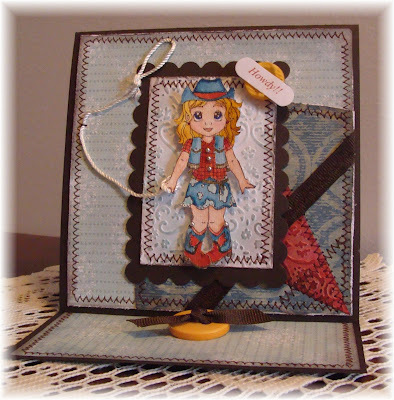 Heather is continually adding new images to her shop, so it is very much worth taking a look. Below is some of Heather's digi designs provided to the DT. 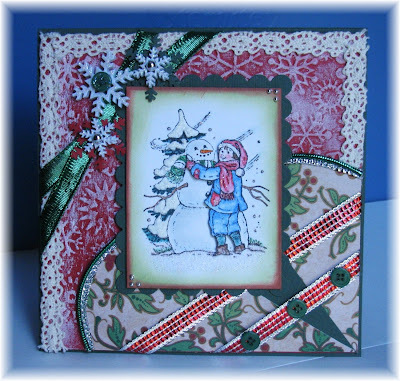 Any card with an * next to the DT name is made from one of Heather's fabulous stamps. The winner of the weekly drawing will get this signed 8" x 10" print of "My Pink Balloon" and four (4) digi stamps from http://www.etsy.com/shop/digistampcharacters. Thank you so much Heather. The dt had so much fun playing with your images this week. 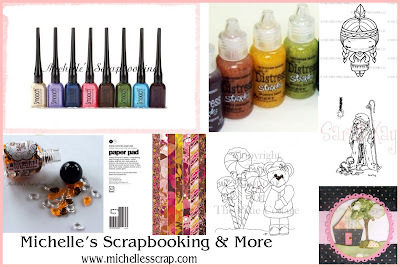 Michelle’s Scrapbooking & More carries everything a stamper would need, including all the latest Basic Grey, Spellbinders, Copic Markers, Flowersoft and stamps from such great companies as Magnolia, Whiff of Joy, Alota Rubber Stamps, Stampavie, CC Designs, House Mouse and more. 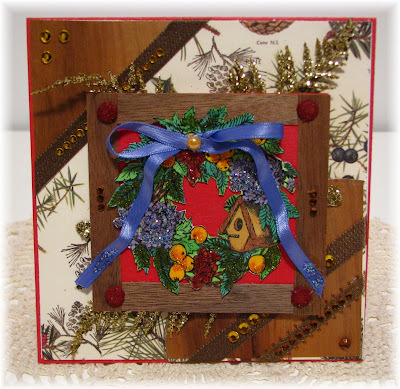 We recently introduced The Pixie Cottage stamps to the paper crafting community. 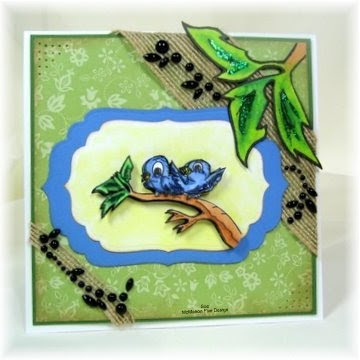 If you haven’t seen these adorable stamps stop by and take a look. Look at all these goodies!!!!! Thank you so much for sponsoring us Michelle!!!! Beautiful work from all the team. I do hope you get better real soon Priscilla. Keep warm and stay in bed until you are fully recovered. Hope you are feeling tiptop soon Priscilla!! Quick recovery wishes for Priscilla! Wow this is awesome, thank you so much!! I will give the fairy a very good home. The DT as usual had outdone themselves, everyone's card is over the top!!! Get lots of rest Priscilla, your design team can handle it! AWESOME as always ladies!!! Feel better soon Priscilla ... HUGS! THANK YOU SOOOOOOO MUCH! Priscilla hope you are back 100% soon! Some more great inspiration!!! Priscilla hop you are feeling better real soon. Hello ladies - this is my first time playing along - thank you Phyllis for encouraging me to play and to my daughter, Lovely Linda, for giving me a BIG push!! 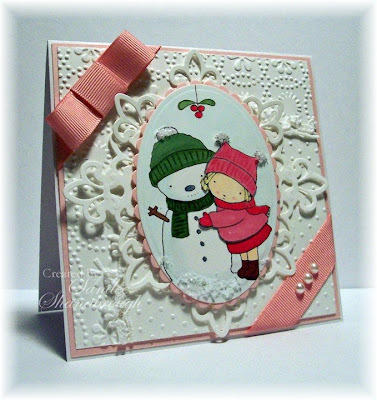 I hope my card is okay....this is all very new to me, I have only been stamping for 2 months!! Thank you! Fab sketch as sual ladies! Mine is with Mr Linky. PS - I do hope you are feeling a bit better now Priscilla - Best wishes!! Another great sketch and samples, you ladies are terrific. 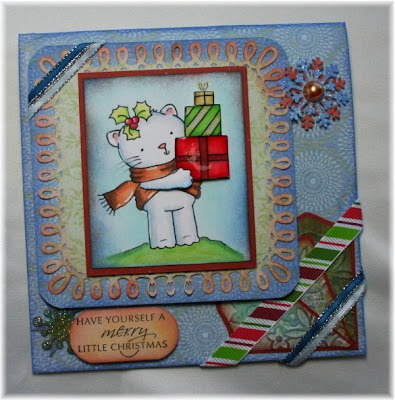 Another spectacular challenge..Very cute cards by the DT! Get well soon Priscilla! Another beautiful array of design team cards. Wow, where do you all come up with this stuff???? I just linked mine for this week. Priscilla, I almost chickened out again, but I knew you'd be on my case if I didn't at least try!! LOL!!! Hope you're feeling better soon!! another very creative sketch and GREAT cards from the DT!!! These cards and sketches are awesome. Your ideas are too creative. This sketch looks fun, my head is spinning with ideas still, as my creation didn't come out as planned, will try try again. The samples are lush as always!! 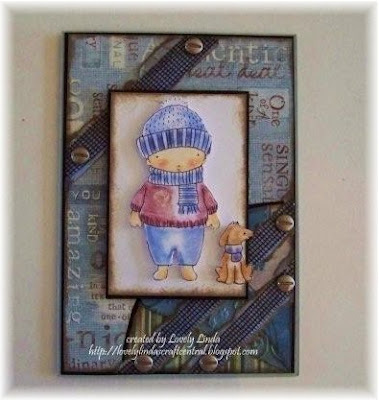 Interesting sketch, Priscilla -- it was a fun inspiration for my circle journal page! 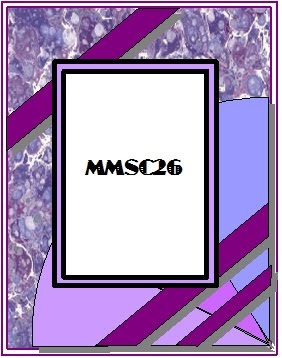 the MMCS 26 is inspirational to work with and my entry is in my blog..
DT cheers to all you..
Priscilla, I hope you're getting stronger every day. I'm hoping I'm finally well enough to make a card for the challenge. great sketch and great job by the dt! Wonderful sketch and beautiful DT work. Priscilla, I hope that you get well soon. I snuck in a card at the last minute! Thank you so much for the great sketch, and the gorgeous DT samples! I have read the article based on the articulate design with the use of certain materials.I like post very much as it contain informative in nature. I'm hoping I'm finally well enough to make a card for the challenge.I hope today finds you feeling a lot better Priscilla! !